FUTEC, a pioneer of 100% automatic flaw detection systems for print and surface inspection for commercial, packaging and label markets, will be launching a range of innovative products at drupa designed to achieve maximum performance in print quality control. Visitors to the company’s stand (Hall 15, Stand A08) will be able to see live on-stand demonstrations of FUTEC’s proven, high-performance systems that offer print businesses 100% quality assurance capabilities. At drupa, FUTEC will be previewing the new Elastic FREEEZE! feature; a specially-designed software for the printing industry that provides advanced algorithms for the company’s 100% Printed Web Inspection Systems. The new, efficiency-enhancing feature helps maintain throughput by eliminating false detection errors caused by the expansion and contraction of elastic materials. Elastic materials can be challenging for web inspection systems as signals may appear unclear due to the side and linear movement of the web and the change of flexible material, which causes ‘defect showers’ – defect messages that actually show false defects. FUTEC recently introduced its ‘Position FREEEZE!’ software to eliminate potential movements of the web and freeze the image to make it sharper. With Elastic FREEEZE!, FUTEC’s quality control systems will be even more effective as it will help to neutralise detection errors caused by the expansion and contraction of elastic materials, a common problem especially for flexo printers. As a result, much sharper images are produced, which offers the benefit of more accurate inspection control pictures. Only real defects will be reported by the inspection system as artificial defects caused by material flexibility will be neutralised. Silvio Neumann, one of FUTEC’s European Sales Managers, comments: “FUTEC was one of the first companies to pioneer inspection technology in Japan, almost 40 years ago. With over 9,000 customer installations worldwide, our technical experts have the necessary knowledge and technical know-how to constantly push the boundaries in quality control. Furthermore, FUTEC will also use drupa as a platform to launch new plug-and-play Smart Cameras for the 100% inspection of web-printing applications and for the inspection and quality control of plain surfaces. due to the side and linear movement of the web and the change of flexible material, which causes ‘defect showers’ – defect messages that actually show false defects. FUTEC recently introduced its ‘Position FREEEZE!’ software to eliminate potential movements of the web and freeze the image to make it sharper. 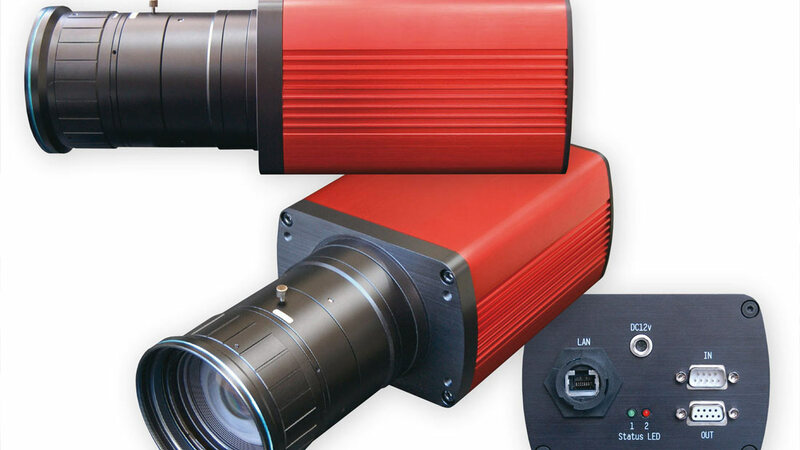 Offering integrated processing technology, the compact Smart Cameras easily connect to a PC without the need to install a separate signal processing board. As a result, FUTEC’s Smart Cameras can be easily integrated into existing processes with minimum downtime during the installation process and during camera alignment. FUTEC’s integrated ‘Anywhere/Anytime’ feature allows remote system access to continuously monitor production quality from any location via a web browser. The collected data can be used to meet the requirements of Industry 4.0. Customers who have tried and tested the new Smart Cameras have cited improved quality, optimised production processes and a reduction in waste as the main benefits. Depending on the size of the web, users can connect multiple cameras to provide optimum inspection. On its stand at drupa, FUTEC will be demonstrating the new Smart Cameras in conjunction with web guiding systems from Maxcess.